June | 2011 | Performance, punctuated. “ When we try to pick out anything by itself, we find it hitched to everything else in the Universe.” – John Muir (1838 –1914) – Scottish-born American naturalist, author, and early advocate of preservation of wilderness in the United States. 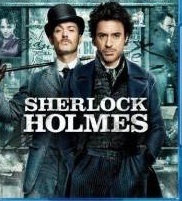 Not too long ago, I watched the new “Sherlock Holmes” movie starring Robert Downey Jr. as the famous detective and Jude Law as his faithful side-kick, Dr. John Watson. Before I saw the movie, I watched the trailers and commercials that preceded its release. They portrayed an action-packed film loaded with fights and explosions. I was quite relieved – when I finally saw the film – that the one thing I found most interesting about the Holmes mythos, the power of deduction, was firmly in place with this re-telling. Sherlock’s ability to implement his keen senses, harness his formidable knowledge and compose a logical conclusion from seemingly unrelated data has always fascinated me. Holmes is a master of Connessione (connections); one of the “Seven Da Vincian Principles”. Sir Arthur Conan Doyle’s creation marks the beginning of the familiar genre of crime solving via clue collection. Today, the theme is played out on a high-tech frontier on popular shows such as “CSI.”. While the time, tools and techniques have changed, the basic premise of discovering clues and making connections remains intact. The essence lies in opening yourself up to the relations of all things in our world. When we open our mind to the possibilities, the connections present themselves. Da Vinci was very aware of the interconnections between everything in his world. How shape, form and structure were affiliated on a micro and macro level. Da Vinci’s principle of Connessione is really “system thinking;” appreciating and recognizing the alliance of all things and phenomena. Please Join Us at mLearnCon in San Jose! Please join Reni Gorman and I at mLearnCon 2011 in San Jose, CA from June 20-23. Reni and I will be speaking on June 21; our topic is “Mobile Learning is SO 10 Minutes Ago… Mobile Performance is NOW!” Here’s a summary of our session; we hope to see you there! Imagine going out and buying a shiny new sports car. Now imagine hitching up a horse to it, and having the horse drag your car to work every day. Sound crazy? Sure it does. So why are people still using mobile devices to deliver e-learning courses?